In today’s write up, we will be looking at political communication marketing tools and media, which are important aspects of winning an election at all levels of political offices. Political communication tools are used to inform, sell a political candidate, build/repair public opinion; relate and engage the voters, while media is the channel of carrying all the information – contents and political messages to the electorates. Listed below are common political marketing communication tools. Personal selling: this marketing tool has to do with face to face conversing of identified and eligible voters to vote for a particular candidate or party in the day of an election. Public relation: this political marketing tool has to do with promoting goodwill of a candidate or party; the essence is to make the masses relate with the candidate, and foster trust and understanding that the party/candidate has their interests in mind and cares about the people. This is often done through donations to charities, funding important projects masses care about, community works, sponsoring event, etc. Publicity: this is a marketing tool that helps to spread political views and messages; most times it’s free and candidate or party can’t have control over it. However, it can be equally influenced by a candidate or party through press release, public speaking, press conference, etc. Advertising: advertising is an important tool of political marketing. Generally, four objectives of advertising are to inform, persuade, remind, and reinforce. Media (channels of political communications): there’re traditional media and new media. We have above-the-line and below-the-line media. Above-the-line media are billboard, television, newspaper, and out-of-home media, etc. While below-the-line media are customized face-cap, bangle, almanac, poster, t-shirt, bag, sticker, etc. In online political marketing there are 6 components of political marketing. Internet display advertising: this has to do with internet banners, contextual text ads, etc. Search engine marketing: this online political marketing component has sponsored (paid) and organic display (free but through search engine optimization –SEO). Content marketing: this tool is the bedrock of new media political marketing. This includes articles, emails, online press release, newsletters, case studies, online reviews, etc. Without contents there are not to share, post or read online. Social media marketing: this is a significant component of online political marketing. There are different categories of social media, such as online forums, social networking sites, news aggregators, video platforms, file/presentation sharing websites, wikis, etc. Influencers marketing: new media political campaigns may not be successful without online influencers such as news portals, internet celebrities, bloggers, political analysts, political writers (like this blog), etc. Mobile marketing: advent of internet has reduced information on one on one basis; this component makes this a reality. This is done through apps, responsive landing pages, texts messages, etc. 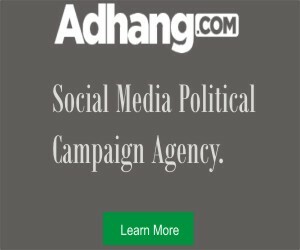 In summary, political marketing tools help to plan and choose the kinds of contents to send out to potential voters and stake-holders, while media carries the political contents to them(the target audience) whenever they are – whether at office, home, school, or walking in the street, travelling, etc. Common political communication tools are personal selling, public relation, publicity and advertising. In media, there are traditional (TV, News paper, Billboard, etc) and new media (internet). 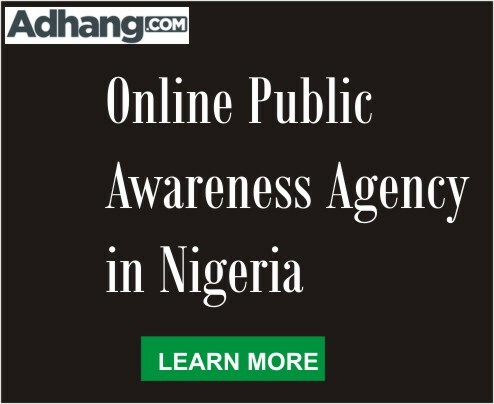 If you’re looking for new media political campaigns agency in Africa, I will 100% recommend AdHang team. The agency understands nitty-gritty of online political campaign.